Applying mascara can be a monotonous daily ritual, but it’s the price many women pay for longer, fuller lashes. If you want jaw-dropping lashes without the need for makeup or false lashes, you may want to consider LATISSE®. This breakthrough new aesthetic treatment can give you noticeably longer and fuller lashes in as little as 16-weeks. 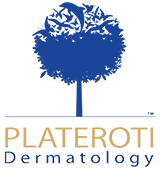 Located in Templeton CA, Plateroti Dermatology is committed to providing our clients with the highest standard of both cosmetic and medical dermatological care. For more information about our practice or any of the services we offer, contact us today. LATISSE® is an FDA-approved treatment used to give patients thicker, fuller, darker, and overall more luscious eyelashes. Unlike many other treatments that need to be administered in the office of a licensed physician, LATISSE® can be applied on a nightly basis in the comfort of your own home. Surprisingly enough, this treatment was originally discovered by accident. In 2001, Allergan developed an eye drop medication that was used to treat elevated intraocular pressure (IOP). During the original clinical trials of the medication, researchers began to notice that many patients began to grow longer, fuller, darker lashes after using the drug. Allergan conducted another study of the medication’s active ingredient, bimatoprost, to see if it was responsible for this lash growth: they found that it was. After a series of clinical trials targeted at assessing the medication’s safety were successful, LATISSE® was FDA-approved for cosmetic use. 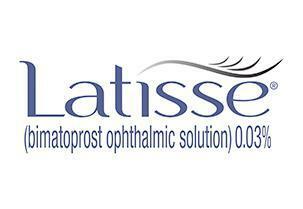 LATISSE® is a daily procedure that is completed entirely in the comfort of your own home. Patients undertaking a LATISSE® treatment will have to apply a medicated solution to the base of their upper eyelashes every night over a period of 16-weeks. Before using this medication, we recommend that patients remove any makeup or contact lenses that they may be wearing and clean their upper eyelids thoroughly. Over the 16-week treatment period, patients will slowly begin to see changes in the length, fullness, and color of their lashes. Noticeable results are usually visible within four weeks of starting treatment, with full results appearing at the end of the 16-week treatment period. Interested in receiving a LATISSE® treatment kit in the Templeton, Paso Robles, Creston, and Asuncion areas, contact Plateroti Dermatology today and schedule a consultation appointment.